Gallows - A preserved english hamlet in a valley. The first playable alpha build of my first map, koth_gallows. - A few quality of life improvements. - More health and ammo pickups. The displacements in the scenery are a bit too bumpy though, try making the radius larger and the amplitude a bit lower, and change the texture to a ground texture. You could maybe even add some pine trees there as well. Nice map, man! The sewers feel a little claustrophobic though. 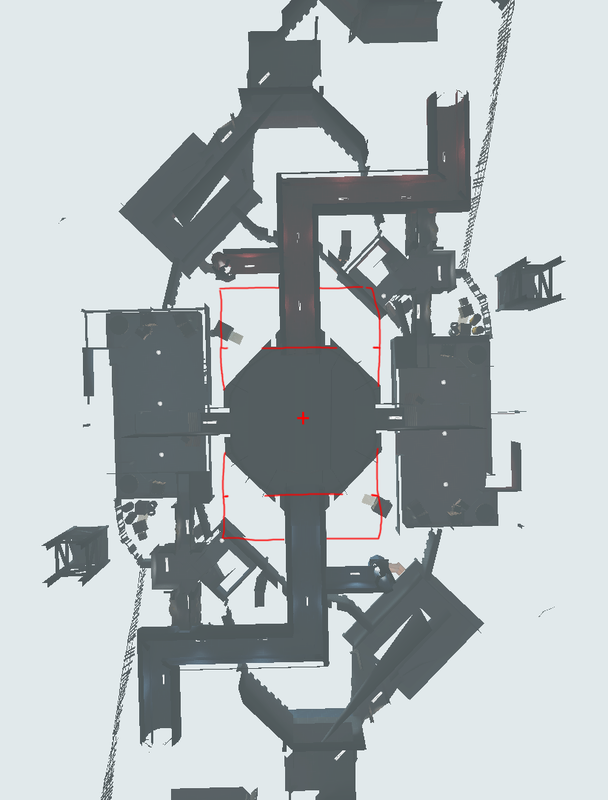 - Redone spawnrooms and adjusted spawn courtyards. - More cover on second stories of buildings. - Steam particles to indicate jump pads in wells. - Deepened water in sewers. - Added bank around central sewer. - Added large ammo pack in central sewer. - Some more clipping for smoothing. - Switched the teams for the spectator cameras. - Moved a few props and func_details around to fit new displacements. - Attempts at cleaning up the portal file. Oh, these displacements looks much better now! good job! The sewer center is cool, but the paths that lead to spawn is particularly unfun. Say you're walking towards center. If there's an enemy on the other side (which is almost guranteed), you have extremely limited space to move around, no cover, and the enemy has the healthpack. I propose adding additional rooms like the ones below which will make approaching easier and provide some interesting cover to fight around. You could always have the water pass under a grate to keep it connected to the center. One other thing, the water in the sewers center is at this awkward height. It's shallow enough to leave without swimming (which feels strange at it's height), and it causes crouching to glitch out. - Efforts to improve framerate. - Slightly lowered lights throughout sewer pipes so the props no longer clip into the ceiling. - Turned off grates in central sewer casting shadows. - Changed funnel clipping at top and bottom of steampipes and dropdowns to blockbullets rather than playerclip. - Removed collisions from wood fence props on edge of junk mini-courtyards (inside of blockbullets). - New clipping for new ramps.